Level: Intermediate/advanced. Previous experience using acrylic or pastels is recommended for this class. Those who love to draw will delight in this new, advanced workshop. Participants will use real life objects as the subjects for their drawings, with a shadow box and controlled lighting. You will be encouraged to take an unhurried, contemplative approach to plan your painting. Artists will create a full value drawing and work out composition problems. Participants will be mentored as they determine the level of detail required to transmute the drawing into pastel. 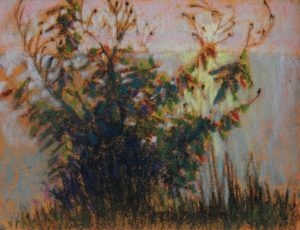 Under the guidance of the master pastelist, you will experience the wonders of interpreting colour into greyscale in this exciting workshop! 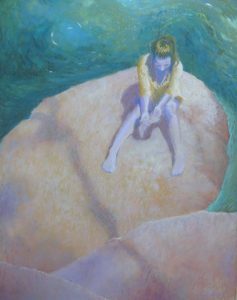 Renowned Barrie-based artist and teacher Margaret Ferraro has exhibited throughout Canada and the United States. Her most illustrious accolades include exhibitions with the Pastel Society of America at the National Art Club in New York City, and the Pastel Society of Eastern Canada outside Montreal. In 2009, Ferraro published her first book, A Time to Dance, and was named a master pastelist by the Pastel Artists of Canada. In her work, Ferraro continuously moves between landscape, figural and floral subjects, using a layering technique that incorporates a combination of charcoal, ink, acrylic paint and pastels. Texture and colour are the major factors in her compositions.